Mountain Hospice offers comfort and compassion when and where you need it most. Our hospice care services are designed to complement nursing home and assisted living care. We understand that debilitating illness and conditions may require the more advanced medical care and treatments that are provided by skilled nursing and assisted living facilities. Let us assist your loved one when transition to a nursing home/assisted living facility is required. Mountain Hospice works with nursing home and assisted living staff to provide additional support to serve our patients’ needs during the transition from in-home to skilled nursing and assisted living care. Our hospice team will be with you every step of the way. If you are currently part of our hospice family, we will continue to be the familiar faces and caring hands that you have come to know. If you would like to join our hospice family, we look forward to getting to know and care for you. It is our goal to do all we can to provide a coordinated transition while maintaining your comfort. Mountain Hospice has over 25 years of experience providing end-of-life care for nursing home residents, as well as those living in assisted living facilities. Our expertise, combined with excellent nursing care, is a resource for patients and loved ones to draw from to improve quality of life. The exceptional hospice services we offer can be provided at most nursing home and assisted living facilities. Our medical director is certified in hospice and palliative medicine, and is available for consultations. We also have a physician-directed healthcare team with on-call hospice nurses available 24-hours a day to promote your comfort and well being. Social service programs and grief support are provided to our patients and our patients’ families. Spiritual support is also available 24-hours a day when needed and is provided by our dedicated chaplain/spiritual team. We have caring, compassionate, and trained volunteers who provide friendly visits, companionship, and can assist with other tasks. We believe that our services, combined with nursing home care, provide the best possible option for promoting well being and improving quality of life. 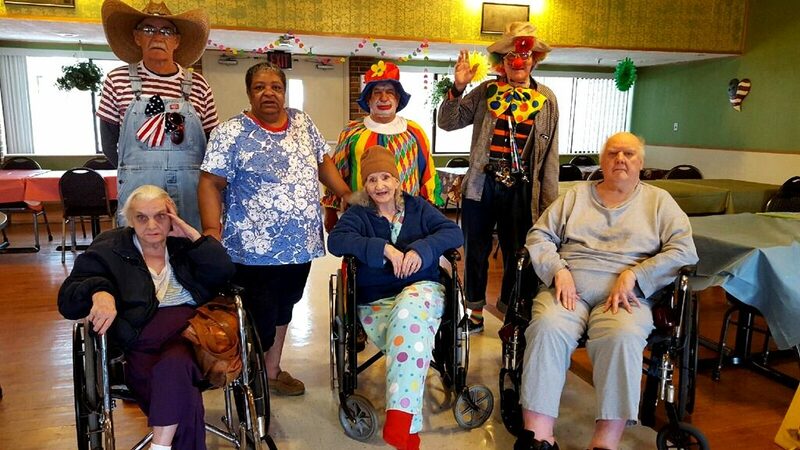 Call our toll free line at 1 (888) 763-7789 for more information on how we are able to work together with assisted living facilities and nursing homes throughout West Virginia to provide comfort and compassion for each of our patients.